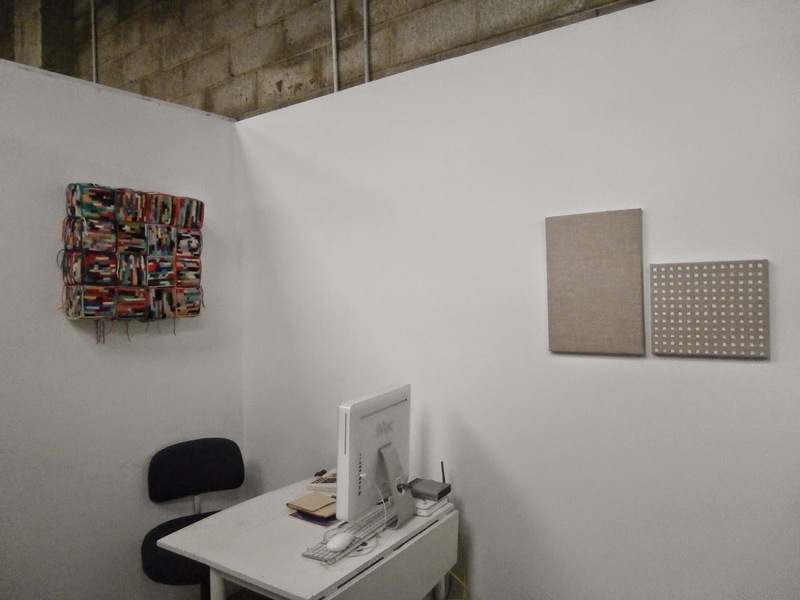 The 2014 Director's Show at Factory 49 had the work of Pam Aitken, Marlene Sarroff and myself in the Office Project Space. 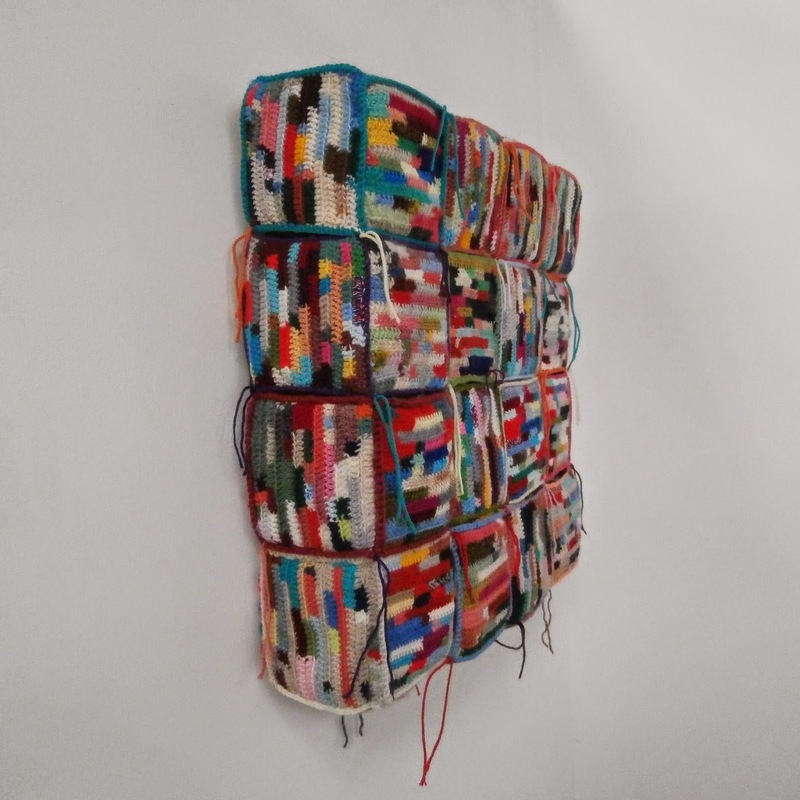 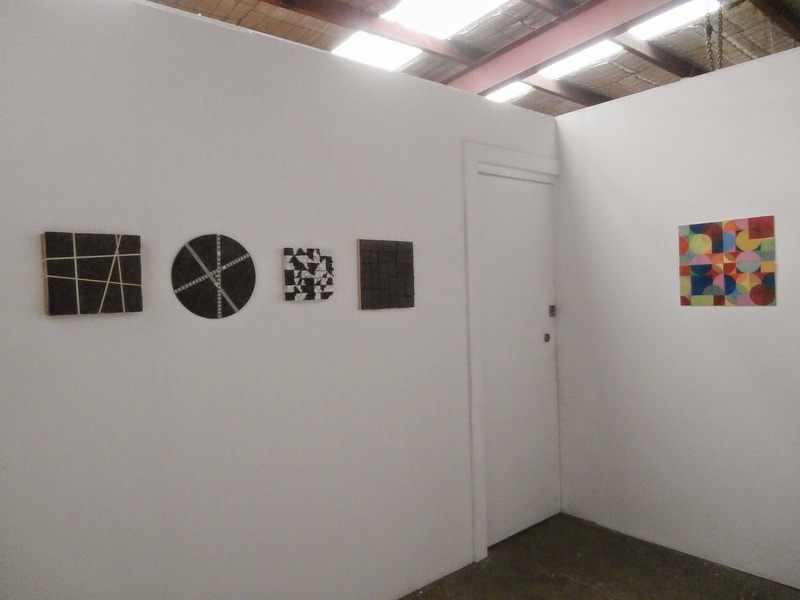 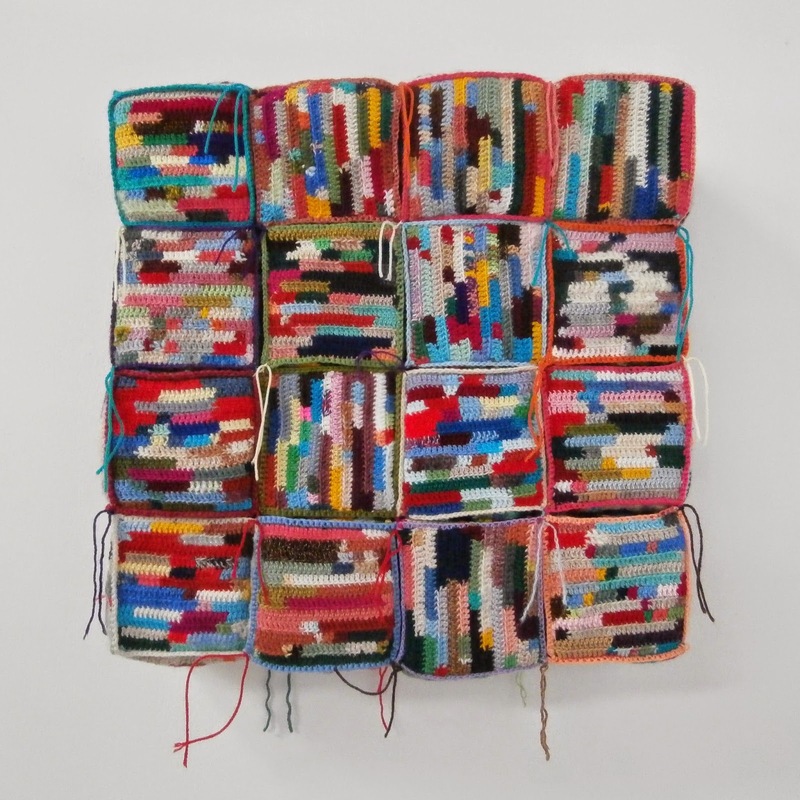 I exhibited a painting and a crocheted wall work. 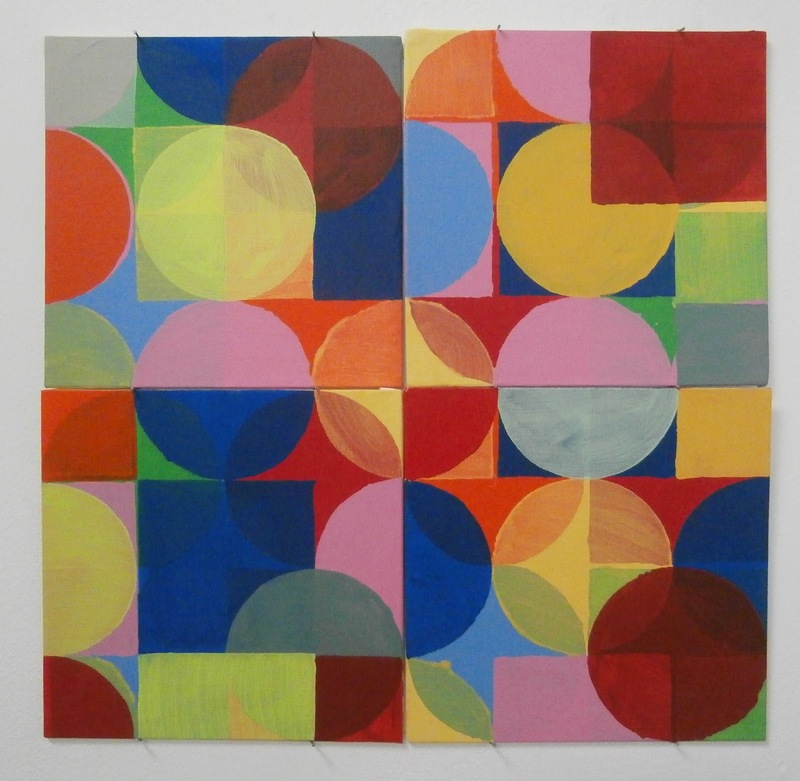 The painting was 4 panels of acrylic on canvas board and the wall work was 16 cubes stuffed with foam and tied together.